I dont know how a deck like this can work =.= its amazing that it can top a tourney with BF and AKB in it. WOW. I'll try to analyse it and do a champions post tommorow or whenever because i dont know half of the monster lineup's effect and why its played. Except for Raioh and Red Eyes. If you dont see a champions post, i totally dont know how that deck works and how to play it. Maybe he got damn lucky. Or something. Or its really consistent. effect: This card cannot be destroyed in battle with a monster that has the same ATK. When this card is Tribute Summoned by Tributing a Dragon-Type monster, it gains ATK equal to half the ATK of the Tributed monster. During battle between this attacking card and a Defense Position monster whose DEF is lower than the ATK of this card, inflict the difference as Battle Damage to your opponent. 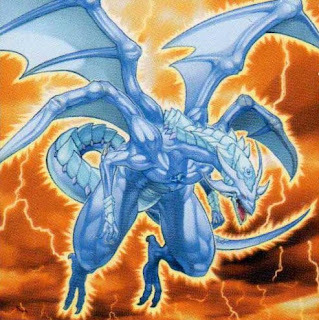 effect: f this card is destroyed and sent to the Graveyard as a result of battle, select and Special Summon 1 "Troop Dragon" from your Deck to your side of the field. Then shuffle your Deck. effect: During each of your End Phases, destroy this card unless you send 1 "Iron Core of Koa'ki Meiru" from your hand to the Graveyard or reveal 1 Dragon-Type monster in your hand. LIGHT and DARK monsters cannot be Special Summoned. Today's review would be about Morphing Jar. In the Dimensional GB deck and the AKB deck(this is for those TCG players out there. Why? Its obvious. It netts u 5 cards and thats terrible. sure it sounds awesome at first, but think about having 3 airbellums in ur hand. Its a dead draw, and u might as well throw away ur rescue Cat and Summoner Monks. Next reason, it gives ur opponent 5 i repeat FIVE more options to take you out the next turn. Oh wait thats 6 he gets to draw. While ur mopping over ur drawn Airbellums he's taking over. If u were playing against Blackwings, just scoop. If u do win, u either have very good luck, or ur opponent has terrible luck. While u draw ur Airbellum, dont forget u draw ur beasts, and GRAVEKEEPER SPY. Ur spy on the field becomes useless, and u have a hand full of dead cards. So, just like that ur 5 cards become 2 or 3 (due to useless dead cards) and the on field card just dies. And ur opponent has 5cards. Making u at a -2 or a -3. If its about winning it out in a topdeck and MJ makes n awesome one, u should'nt be in that position. So long as u play carefully, atune yourself to the deck, nothing will go wrong. Dont waste ur deck space playing Jar. As in Dimension GB, i hope people dont go around running it too. You may say, GB would do great with the 5 extra cards. If ur opponent's cards and field has been controlled by ur deck, why give him more options? It may mean 5 more cards for u, but then it means 5 more things u have to work on taking down. If u fail in doing so, u lost. If u do succeed, ur just lucky and wont get any luckier next time. The deck is about pure control and simplification so dont go running something that will take it away. I mean 5 new cards! gosh. You want to see as few monsters in ur hand in Dimension GB and with 5 new cards you'll probably see about one to two or even 3! In other words don't make it harder for urself. Although u gotta admit in some situations, jar can save u if ur running the dimension GB. But it helps ur opponent more. Its a double edged sword. Are u willing to take the risk? The answer is NO for dimension GB. In standard GB (which no one plays in the OCG anymore) it might help but thats a different story. Tomorrow: I'll explain why people dont play Airbellum n try to mix AKB in a GB deck. If u want to mix, its much better to just play AKB it self. =.= gosh these people. 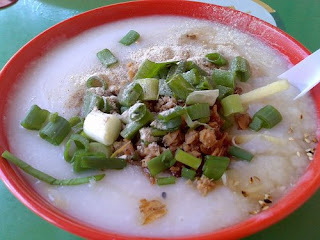 BTW its damn hot in Malaysia here n presumably in Singapore too (according to HR) Nows the real time we need a COLD WAVE! Dammit! Not only for those AKB decks. Japan Nationals have passed and the winner is: I dont know his name. On Shriek its Sobbat -.- BUT the important thing is what deck won. I think the first thing we can see is that this deck is just crazy. Firstly, its an aggresive deck that plays in an anti meta strategy and a quick synchro beatdown strategy, meaning one thing: it can do a whole lot of thing. Its focus was made for two or three not just one. Most decks like Black Wings just swarm swarm synchro end game. LL just swarm swarm, dump , JD then win. Forest GB is negate, control, tag, game. And AKB is cold wave, cat game. This deck however reminds me of the old Chaos or Cyber stein deck-it was game changing, and it was certainly unpredictable. Now, in a format like this, most decks have only one aim, as i stated above. You dont find an AKB deck mixing skill drain or oppresion or a forest GB playing cold wave. It simply kills everything. There lies the weakness: with a few cards sided up, u can safely say u got the deck handled and taken care of. AKB dies to Deck Devastation virus, Dimensional Fissure bla bla bla and the list goes on. Now you can try siding cards into your deck but you just cant kill the deck above. Simply, u could but you would have to side SO many cards till it takes away your own strategy and kills the main idea. That way, ur at a big disadvantage because ur deck cant move. 3 barbaros are just so so so good, i could go on about it but there's no need because u guys know it too. Its the main backbone for a skill drain based deck. 3 lonefires speed up the deck , while providing fuel for pot of avarice. It also gives u Camellia Tytannial- something that is hard to be up against. 2800 attack isnt easy to clear and with skill drain active, ur monster effects just dont function so its twice or thrice as hard to kill her. Gorz is simple, and a staple. sangan netts u lonefire so its nice. Now card trooper is an interesting choice. It mills ur cards, giving you a chance to get skill drain or fuel the grave for Pots or to throw away that zombie carrier. 3Doom Calibur Knight lets you keep the beatdown with its 1900 attack and lets Sobbat negate those pesky rescue cat or synchro summons. It kills the Black wing special summon and stops GB altogther. With its 1900 atk, not even laquari can run it through. Dont forget its not negated by skill drain. It sacs itself and apparently the timing and whatsoever lets it pull through. Same with lonefire. The last piece of tech in monsters is natural rose whip. In case u guys never heard of it (neither have i) its a 1700 defense earth tuner with the following effect: Your opponent can only activate 1 Spell or Trap Card per turn. Needless to say: the negation effect is strong. Its like Cold wave- just not as annoying or good_ reminds me of Great Shogun Shien. and his effect just wins out. Your opponent has to consider which spell or trap he or she wants to play, and which will help out more. Some will make mistakes in making decision, and mindplay is always an asset in YuGiOh as it benefits both parties- you as u can win, and ur opponent can learn from his mistakes =) Its a plant too(dont forget) so lonefire is practically a tuner, a token bringer, a big fat flower lady (shes no princess) or another copy of itself. 3 cold wave stops everything so u can go and attack, so it helps u to win and succeed in attacking. Dont forget that its used as an otk method too. Although its telling AKB : hey! im helping u, come n kill me, pls dont forget that its another mind trick. Let AKB do something and waste his cards, and next turn go in and play around it for the kill. Dont forget Cold Wave doesnt do anything to continuous effects like Dimension Fissure and meaning the Skill drain Sobbat played is still active. Lightning vortex and e-con is one of those cards that totally susprise ur opponent. Wont AKB and BWs feel bummed when they set up a winning field, stopped by a Roar, and thenkilled by e-con or vortex. 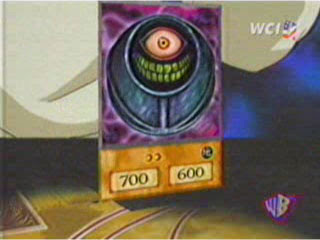 Vortex lets u discard a card again- another friend the pot. What makes me wonder is why there is no solemn judgment in here, and then it struck me. DDBis running too rampant and although this deck finds it very very easy to stand by and survive, if they pay life points for solemn, DDb will just kill through. Black wings whole field swarm n one DDB doesnt even have to attack and although all the tokens, threatenings are good, it doesnt help if u have a whole chunk of ur own life points taken off yourself. Solemn was made for anti meta decks and this deck just doesnt utilise it well enough. The monsters are soon taken care of by the spells, the syncrhos and certainly with skill drain out, what are they to fear of monsters? With raigeki break n C.E.Device u just arent scared of anything. As for the spells and traps, besides trunade, MST n heavy, nothing else worrys sobbat. I mean, Tytannial princess negates any spells and traps for a plant (u got dandy, lonefire, tokens, and lots more crap) and the only thing the deck fears is spell/trap removal. With MST, heavy storm , trunade, the possibility of seeing it is one or if lucky two per game and if tytannial is out u control the game. delta crow doesnt affect skill drain because its face up and the face down spells and traps are mostly chainable. Now, C.E. Device is played over Dimension Prison for a few reasons. although (quoted by HR) D prison is an anti meta staple, i see that C.E Device has an advantage over d.prison. 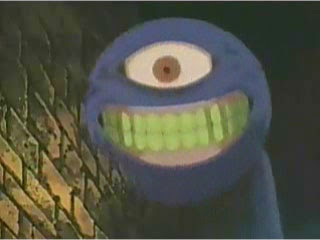 D. prison requires it theopponent's monster to attack: and that is one monent. C.E device can do it at anytime regardless of step/phase. Do u want a syncrho like DDB, Arcanite magician, Dark End dragon or Brionac to wreck havoc and then ur left with a prison to attack? DDb might have finished u off there already and with Arcanite and Brionac, D prison is gone before u can play it ini the battle phase. C.E.device lets u take it out while their effect is being used (just chain it). And, it can still do the normal things like taking out monsters/ tuners before their effects resolve or just return things that u dont want on the field. 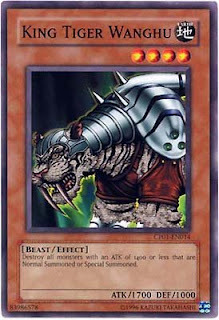 As for threatening roar, its just good, it prevents OTK so there will be a next turn. And thats a pretty good deal for me. Its also chainable and stops ur opponent right there. Sobbat has created a machine of destruction- but it requires pure skill to utilise the deck to know its ins and outs, what not to do, what to do, and to use it to its max potential. This is the deck that took Japan's Nationals. Good day all. And, today i got trashed by god bird attack (icarus attack). its really annoying. Never wanna see it again. Baha, i feel ur pain. On a side story, i saw 2 dead birds today. One gutted by a cat, one lay on the pavement. Hope thats an omen that BlackWings are gonna die soon =P i never did like birds in my life. Cant wait for Ally of Justice Decisive Arms. Looks awesome, and can be abused. AOJ cycle leader is the new card to side against LightSworn decks. AKB and synchro cat has been ruling far too long in my opinion. Even though i've been gone for so long i heard of its prowess and am amazed by how a random deck (it packs gravekeepers, n spellcasters with beast! call me mad!) can be so effective. I ask HanRui online from time to time about the meta and his answers all include Cat synchro Cat sycnchro-it just never ends! Now, the deck looks awesome doesnt it. 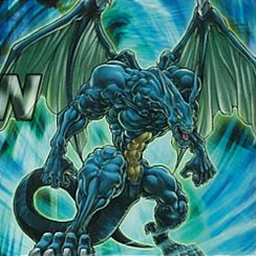 As for Black wings, it pracically relies on one BW card summoned then the rest come down n swarm n tear us apart. 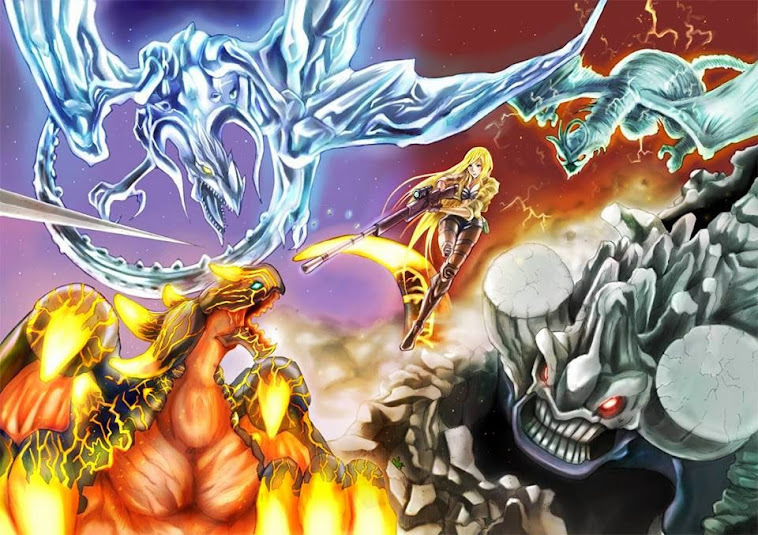 Remember, if u destroy the BW that is summoned, the other Bora n Gales cant be special summoned anymore, unless they monster reborn it. (but wat r the odds to tat). Please, i know alot of people are gonna tell me they ahve Anti Reverse delta crow. let me say delta crow requires two or more blackwings on the field, And it only destroys face down spells/traps. If no BWs exist, there is no way tat delta crow can be activated. On to the deck: the monster lineup is extremely simple. The GBs and Wanghu. Wanghu is simply amazing, it destroys Priest, Gale, Rescue cat and basically every small fry there is. The deck packs burden of the mighty to futher disrupt the opponent combos. heck even Sirocco and Elphine the Raven dies to it. Its ingenius. Wanghu is one of the best cards as it forces your opponent into that situation where he feels: oh my god, half my hand is shut down what can i do. It also puts your opponent into a feeling of panic and that panic n fear sometimes lead them to making mistakes and stupid n wasteful moves. Some people may say what about Hoplomus and Murmillo! U have wanghu wont it die! Well the answer is simple, dont tag it out! besides if u set them first, Wanghu cant destroy them because his effects read monsters that are special summoned and normal summoned. If desperate times approach, u can tag out Murmillo let it die and then retrieve back to hand with Equeste's effect. Now, the spell lineup: consists of 2 proving ground- Personally, i find 3 abit too many, because with 11 monsters in the deck u are guaranteed at least one to two monsters in your starting hand. 3 proving ground is abit too much and we'll have a sick time seeing the GBs in your hand too often. 3 Fissures are the bomb. Fissure stops Vayu the big Flag synchroing, Monster Reborn, Black bomber decks, and certainly it stops Cat. Pot of avarice cant retrive the monsters that were Synchroed. Meaning Airbellum wont be making a second trip back, cat will stay in hell where it belongs, and summon monks that were destroyed will die die die. Furtheremore, to make things merrier, cat requires it to be sent to the graveyard to call out 2 more cards, Fissure's effect stops that because all monsters sent to the graveyard are removed from play (this is a ruling statement) and if Cat cant work, the deck is dead. 2 book of moons are awesome and are just enough. Some people out there play 3 but i think its redundant and 2 are just sufficient. I dont need to blab on about its million uses. Next to Ancient forest! Is this card like awesome n the most compatible card with GB ever! it destroys all monsters that attack at the end of the battle phase! Gb will just tag in and be gone n it escapes forest's cost! While u r enjoying that, ur opponent will think twice about attacking and consider his moves! Another asset to force your opponent into one of those positions! =D and make those mistakes u just love =) Besides that it has a Swords of Revealing Light effect- turn face up effect. And the flip effects arent activated. I guess that makes it better if Gravekeepers Guard and Gravekeepers Spy is on the field. they are rendered useless. Typhoon is mandatory. U dont wanna play heavy or trunade in this deck so typhoon is the ebst u can get, burden is simple. 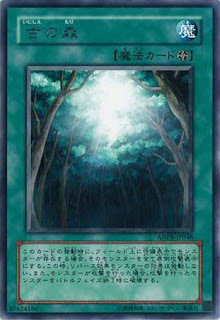 if u cant draw ancient forest, burden lowers the opponents attack points. and it works with wanghu. I knwo some people consider running forbidden chalice in here, but there's really no use. U already have 3 GB war chariots- what r u afraid of anymore, so i decided to run e-con. E con is superb, it does anything u want! U block out an attacking monster, or sac ur card to take tat powerful card on your opponent field tat can help u win the game! 3 dark bribes and solemns are musts. bribe takes out Cold wave! remember in a match against Cat syncrho, always save ur bribes and solemns for cold wave. but if u really need to use it use it! there are other cards u can draw to help u stop opponent next turn. Torrential is good, This deck only runs 11 monsters so the number of monsters on the field will probably be 1 to 2? if ur opponent calls out the whole gang of Blackwings or a whole horde of Airbellums dont hesitate to send them to hell. Mirror force is no different. Its good against anything. BTW, this is a budget deck for ppl like me (im a student) who has no money except trying to starve myself and save my pocket money or selling old YuGiOh cards to the lil noob kids. The 3 dark Bribes and 3 Burdens are included in the warrior deck.